Oli Fowler is an artist who specialises in screen-printing and illustration. He grew up in Kimpton, Hertfordshire and moved to London in 1999 to study fashion and textiles at Central Saint Martins. More recently, he received a BA in Graphic Design from Camberwell College of Arts. 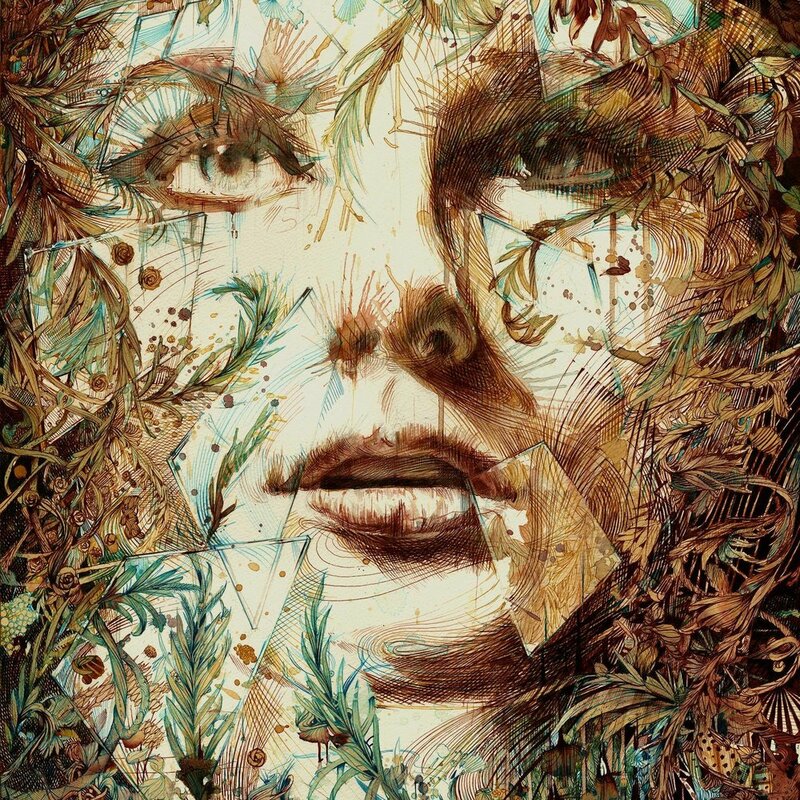 Oli’s artistic practice spans across various forms of graphic art and design, including printmaking, illustration, photography, and photomontage, and he frequently combines these different mediums in his creative process. He values experimentation from the earliest stages of work allowing for chance and deliberate mistakes to give direction for the finished piece. His dynamic and sometimes abstract compositions are characterised by their use of collage scrap book style cut outs, photographed textures, solid spot colours and pure CMYK 4 colour process printing methods. Join us on Saturday the 23rd of March 2019 for the Launch of The Lullaby Collection. Made by HEXNEX by hand this collection has been designed by illustrator Rachel Gale. Just in time for Mothers Day we will be hosting a high tea courtesy of The Wild Goose for mums, dads and little ones including colouring sheets to keep everyone happy. 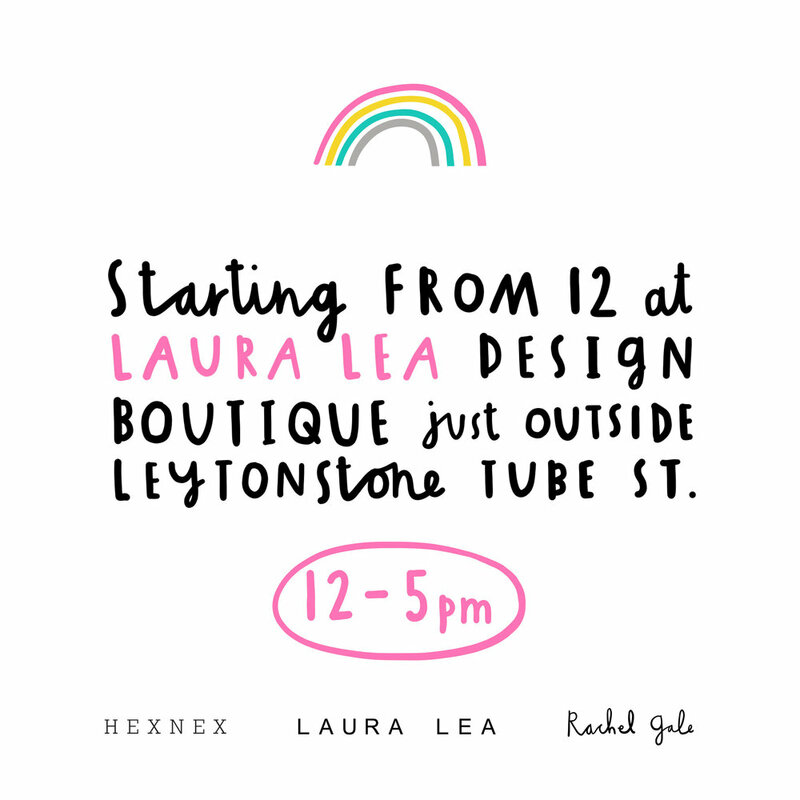 Starting at 12pm at the Laura Lea Design Boutique situated outside Leytonstone Tube Station until 5pm we will be offering special discounts in store with raffles and social media competitions throughout the day. Carne will be signing his books at the gallery during the evening. 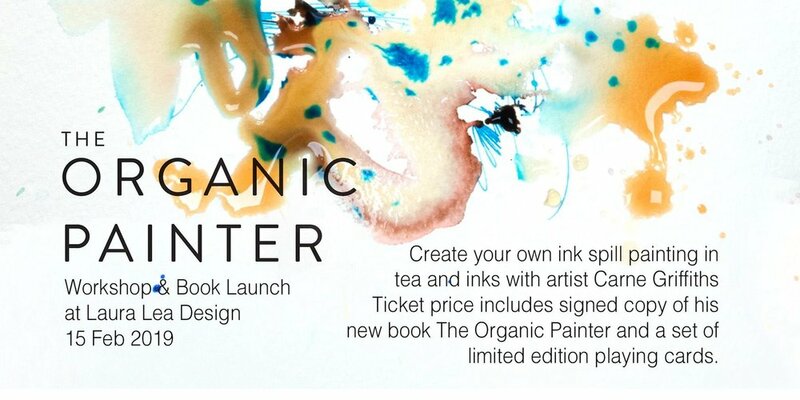 Original and Limited edition prints will be available to buy directly from the gallery wall. Join us to celebrate the release of 'SURVIVAL'. A new book by artist, Louise McNaught, featuring 20 remarkable species facing the challenge of survival. A celebration of the ordinary woman contributing extraordinary things to our local and wider London community. Join us at Laura Lea Design for a celebration of the carefree spirit of childhood, against the backdrop of the ever-changing waves and light of the North Cornish coast. Introducing Laura Smith the designer behind HEXNEX teething Jewellery. 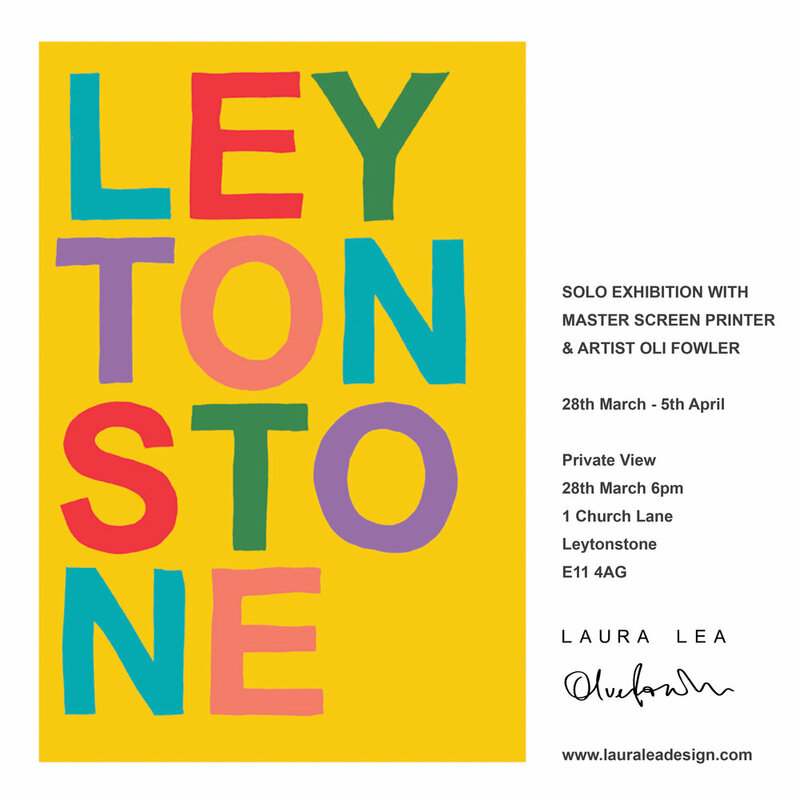 Laura will be joining us for a special shopping event in our Leytonstone boutique. HexNex Silicone Jewellery is a bright, safe and fun teething aid for babies as well as a stylish accessory for Mum. The soft, tactile beads are brightly coloured to catch baby's attention, help hold focus during feeding times and give something for little hands to cling on to, saving Mum all the scratching, grabbing and hair pulling!